"Our productivity has moved on massively – we process twice as much volume as before in the same amount of footage." They completely owned the project end to end. 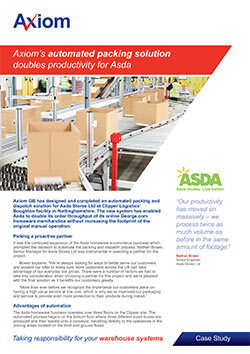 The automated solution Axiom has delivered with us is a good quality, professional product."